yet another lesson in how freakishly dense black locust lumber is. 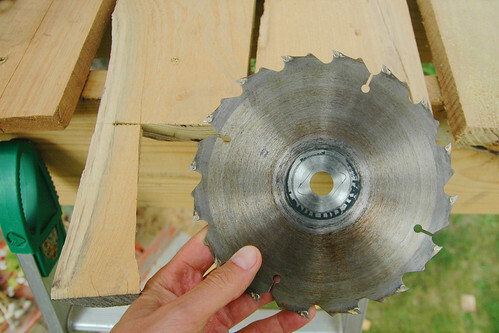 if you’re keeping score, the amazingly dense black locust has broken jigsaw blades and a drill bit and today while trimming the ends off the treehouse deck boards it wore my circular saw blade down until it was totally smooth and about as effective at cutting as a butter knife. 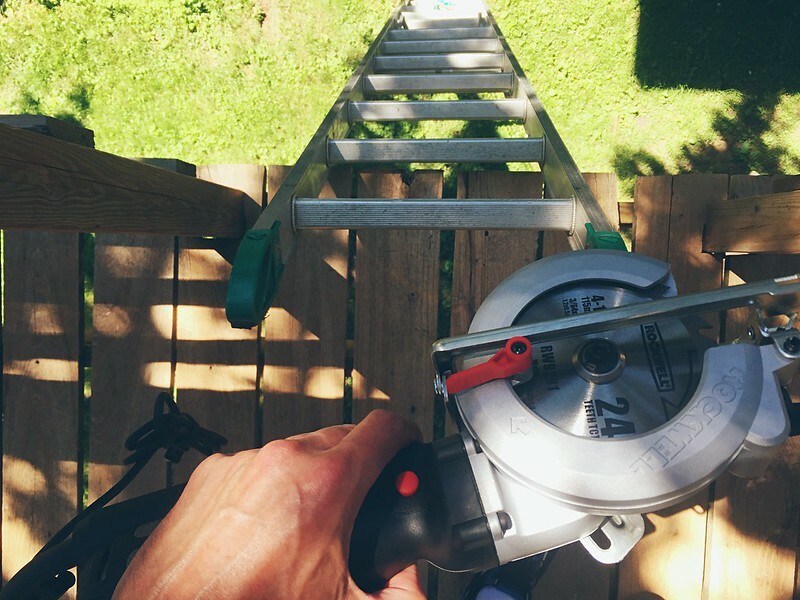 granted it was an old blade – the lesson learned, if you’re ever working with black locust be prepared to invest in new blades and drills bits!